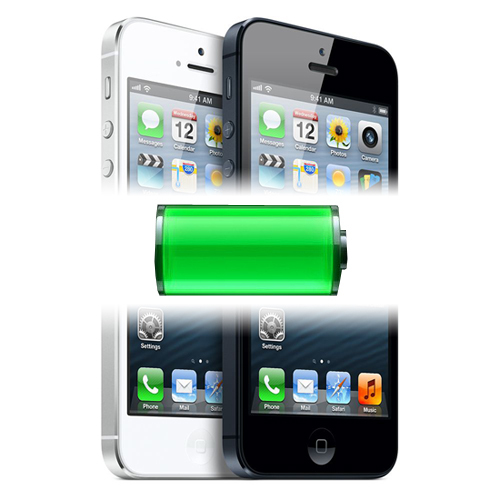 The longevity of your iPhone 5's battery is determined by how well you treat it. Kind of like giving your car its maintenance check every now and then. A properly maintained iPhone 5 battery is said to retain up to 80% of its original capacity after around 400 charging cycles. That's pretty great for rechargeable smartphone batteries. But if and only if you properly follow Apple's suggested iPhone battery guidelines. Apple suggests that you completely charge your iPhone's battery and drain it down until it shuts off on its own with use, at least once per month. This insures that the lithium battery refreshens its juicy bits inside it and renews the electrons. But the same holds true to all of Apple's devices in case you didn't know. Do this and your iPhone will hold a charge for a long time to come.